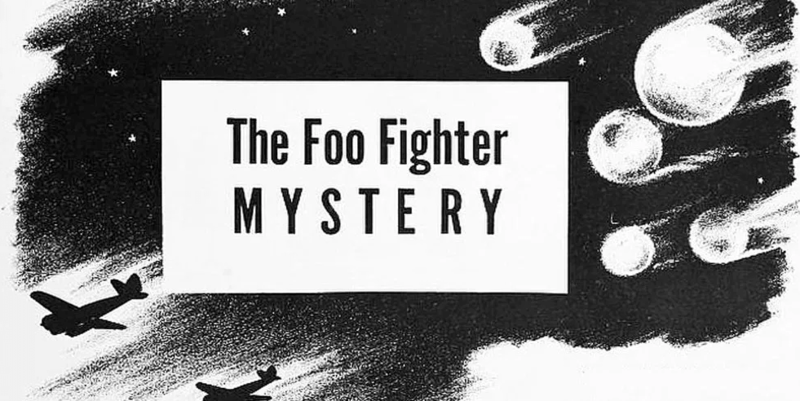 History Channel's 'Project Blue Book' learns to fly with foo fighters – AiPT! This week’s episode of Project Blue Book on History Channel, amid all the spying and self-immolation, introduced a real group of UFO sightings from before the term even existed. In fact, the foo fighters of World War II even predate Kenneth Arnold’s famous 1947 sighting that started the “flying saucer” craze in America. Meiers’ 415th Night Fighter Squadron were the first to report that strange objects, apparently acting with “intelligence,” had been following their planes. Germany developed the first fighter jets during World War II, which could have been startling, but later analyses of records show they weren’t used when foo fighters were sighted — and besides, the Germans reported mysterious sightings, too. Foo fighters were even spotted in the Pacific theater, although there they were merely described as “hanging balls” of light. In the European theater, foo fighters followed aircraft closely, sometimes even in formation. The original balls of light were said to be red, though white and orange ones would be reported in Italy and elsewhere. Funnily enough, the plane crews could rarely agree on their movements or locations, and radar was unable to detect them. Foo fighters became internationally known thanks to The New York Times, Time and the U.K.’s Daily Telegraph, so after the war, in 1953, the (in)famous Robertson Panel made a point of examining the phenomenon, concluding many of the sightings were caused by St. Elmo’s fire, an electrostatic glow that can build up around lightning rods, ship masts and yes, aircraft wings. (The Robertson Panel was convened on suggestion of the CIA, noting the public fervor over saucer sightings. It concluded that most sightings were misidentifications, and the real threat was people jamming critical communication channels with reports, if the country ever came under attack). St. Elmo’s Fire is named after the patron saint of sailors, and often elicited religious feelings in early observers. It’s not a bad idea, although St. Elmo’s fire tends to be blueish in color. Another explanation, proffered by folklorist and retired Air Force systems analyst Jeffrey A. Lindell, among others, is that pilots were victims of perception tricks similar to the case of George Gorman (as seen in the first episode of Blue Book). The autokinetic effect was first recorded in 1799 by naturalist Alexander Von Humboldt, who observed that if you stare at a bright star, eventually, it will appear to swing back and forth. Astoundingly, he thought this indicated the star itself was actually moving, but after studying will-o’-the-wisps and other related phenomenon, psychologists determined it was in fact a subjective observation. Autokinesis would explain why multiple reports of the same foo fighter never seemed to agree, even if all the witnesses were aboard the same plane. Perception is screwy enough under normal circumstances, but with so much activity and so many lights in the sky and on the ground, and in the psychological pressure-cooker that is war, it’s no wonder that people would start to see weird things. In any case, no one ever reported any damage from foo, and they were largely forgotten about until Mr. T began pitying them in the 1980s.